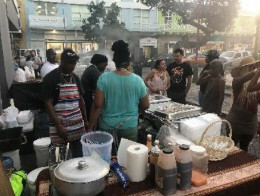 It has been four weeks since the Nassau Night Market launched on December 15th and the street festival that brings together vendors, artisans, artists, and entertainers from across the island to downtown Nassau every Saturday night is impacting lives while as it works to rejuvenate the Downtown nightlife. 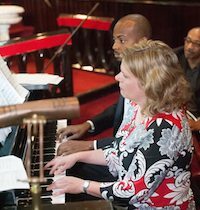 Methodists from throughout the Bahamas, and the Turks and Caicos Islands Conference of the Methodist Church in the Caribbean and the Americas (MCCA), will meet in Nassau from January 14th to 20th, for their 207th Annual Session of Conference, at Wesley Methodist Church, Malcolm Road. 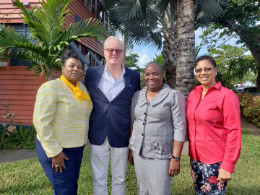 Executives of the Straw Business Persons Society have declared their support for Nassau Cruise Port Ltd., the company that would operate the cruise port if the Global Ports Holding (GPH) bid for its redevelopment is successful. Consolidated Water Bahamas Ltd. (the "Company") a subsidiary of Consolidated Water Co. Ltd. (Nasdaq Global Select Market: CWCO), and a leading developer and operator of seawater desalination plants, today announced changes to their Board of Directors. Long serving Board member, Sir William C. Allen, K.C.M.G., BS, MA, JP, has resigned to pursue retirement interests and businessman Ethan W. Adderley has been appointed. The changes are effective as of year-end 2018. George Damianos, Chief Executive Officer for Damianos Sotheby’s International Realty, and Lana Rademaker, Chief Brokerage Officer, are pleased to announce the company’s top producers for 2018. 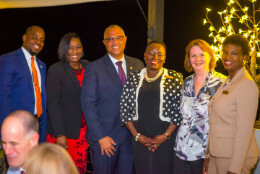 CIBC FirstCaribbean International Bank’s Governor’s Harbour branch (Bahamas) and Sheraton branch (Barbados) have for the first time tied for the “Joy Callender Branch of the Year Award,” bolstering the longstanding competitively friendly relationship between two of the financial institution’s Caribbean operations. Twenty-four audio visual professionals in The Bahamas became the first graduates of the Zamar Academy on December 14 after successfully completing an Avixa-led CTS (Certified Technology Specialist) course. 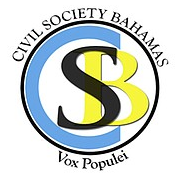 It is the first time that global-level professional AV training has been made available in The Bahamas as opposed to either flying abroad or taking online classes to achieve this level of certification. 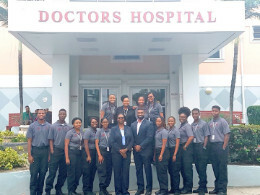 When 24-year-old Brittany Pinder first attempted to become an Emergency Medical Technician as part of the government’s 52-week training programme, she failed the exam and thought her dreams of being able to help others in their time of need had been dashed. What do you get when an award-winning filmmaker, a blogger, two talk show hosts, and a popular DJ get together? One of the hottest Marathon Bahamas TV commercials ever. 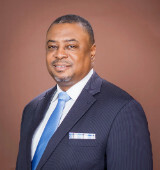 There comes a point when a would-be entrepreneur must create his or her own opportunity and not wait for one, according to Valentino Munroe who has built two businesses, the computer store Onit Systems and the Jumbey Café restaurant. 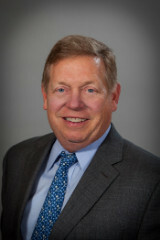 Sterling Global Financial, an award-winning financial services provider with more than US$9 billion in assets under administration and management, announced the appointment today of finance and equity executive Albert G. Rex to its Sterling Mortgage Income Fund Board of Directors. This fall, Airports Council International Latin American-Caribbean (ACI-LCA) announced Jonathan Hanna, Manager of Airport Solutions at Nassau Airport Development Company (NAD) as the first recipient of its Young Airport Professional award. On Tuesday, November 13th, Hanna attended the ACI-LAC Annual Assembly in Miami, FL where he accepted the award recognizing outstanding young talent in the airport and aviation industry. EY Bahamas Ltd. is proud to announce that two professionals in its office recently passed their exams to qualify as Certified Public Accountants (CPAs). 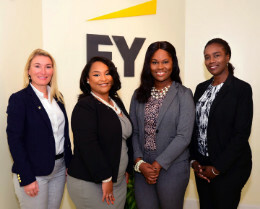 Ashley Darville and Fieasha Johnson are thrilled to begin their work as CPAs with the firm, and join a select group of young Bahamians who are employed with the firm and continue to excel and advance in their careers both locally and abroad. From as early as 4am, scores of customers were queued up while many more provided a steady stream of shoppers throughout the day at the BTC Southwest Plaza Location to take advantage of special in-store Black Friday offers. Most were taking advantage of the opportunity to make early Christmas gift purchases for friends and loved ones. Consolidated Water (Bahamas) Ltd., a subsidiary of Consolidated Water Co. Ltd. (the "Company") (Nasdaq Global Select Market: CWCO), a leading developer and operator of seawater desalination plants, clarified a recent news report that may have led the Bahamian public to believe their water supply in New Providence would be interrupted due to the non-payment of water invoices of $16.1M by the Water & Sewerage Corporation (WSC). 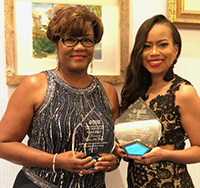 CIBC Trust Company (Bahamas) Limited emerged tops in the recently held annual Financial Services Industry Excellence Awards with one of two employees nominated taking away the top award in her category. Norma T. Major, Director Operations, Finance & Client Accounting, won Mentor of the Year and Taryn Turnquest, Trust Administrator, was nominated in the Achiever of the Year category.